I have been shopping online since I was old enough to own a credit card. I love shopping online and tend to do most of my shopping via the interweb. Before I purchase anything online I search around for the best price and for coupon codes. Here are some tips I’ve learned over the years to save money while shopping online. Retailers will send you emails all the time with information about sales and discounts. I’m signed up for a ton of newsletters and probably get a coupon code every day for a different retailer. Sometimes retailers will even send you personal coupon codes so if you are really into a certain brand or store you could sign up with more than one email and you will get more than one personal promo code to use. There are hundreds of sites online now that have sales everyday with different products and brands. I am signed up to so many that I can’t even keep track. These sites offer you huge discounts and if you keep your eyes open you can get some awesome deals. The ones I like to follow closely are Hautelook, Beyond the Rack, My Habit, Gilt and Groupon. I recommend Ebates to everyone! It is seriously my favourite place to use when shopping online. They give you cash back when you shop online at various retailers. The cash back can be up to 20% on your purchase, yes 20%! Ebates even list thousands of coupon codes that you can use when shopping too and you can save even more money. They have a ton of retailers that participate and are adding more daily. This is a great way to save money when shopping for gifts around Christmas time. 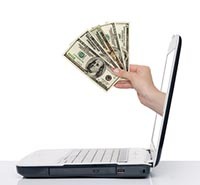 You can read more about how Ebates works here. You can also sign up for Mr. Rebates which works similarly to Ebates. There are several sites online today that list coupons that you can use to save money. RetailMeNot.com is a great website to find coupon codes before clicking on checkout on your shopping cart. I recommend finding the sites that work best for you and follow them. Typically I will just type in the retailer I am going to place an order with and then write coupon codes into Google and a ton of codes will come up that I can try and use. Most retailers and websites today offer rewards programs where you get points when you shop that you can cash in for rewards. Make sure to sign up for those as you wouldn’t want to miss out on freebies. Some credit card companies offer deals and discounts for their members so make sure to check with them on any offers they might have. Some credit cards also have a 30 day price guarantee so if you purchase something on for example your MasterCard, and you find the price cheaper 2 weeks later you can get the difference back. I hope these tips help you save money while shopping online. What are you favorite places to find deals when shopping online? Put them in the comments below! Sign up to receive updates from ImLovingThis.com.